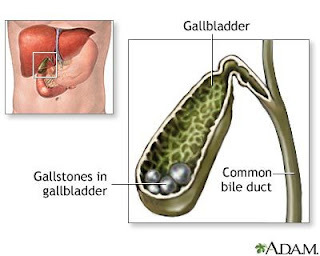 For more than 100 years, the traditional treatment for the painful growths of gallstones has been the removal of the gallbladder, or cholecystectomy. But a new device, patented in China, promises to make removing the entire organ unnecessary. A group of scientists from the Second People's Hospital of Panyu District and Central South University in China have developed an endoscope specially designed for locating and clearing out gallstones and other gallbladder lesions. The authors describe the device in a paper accepted to the AIP's Review of Scientific Instruments. A tiny ultrasonic probe at the tip of the endoscope locates gallstones, even small ones embedded in the organ's lining. Surgeons can use the horn-shaped "absorbing box" to get rid of fine, difficult-to-remove "sludge-like" gallstones – which the authors say can be compared with "sand sprinkled on a carpet" – by sucking them out like a vacuum cleaner. A channel for fluids can inject water into the gallbladder to increase the size of the cavity for ease of performing a surgery, and all the interfaces on the device are standardized, so it can connect to camera systems worldwide. Clinical trials at two hospitals showed "no significant difference" in the surgical safety of the new method compared to another type of endoscope that is often used for cholecystectomies, the authors write. Furthermore, the authors report, the flexibility and reliability of the device was superior to existing devices, and the image quality was better as well. Approximately ten percent of the population suffers from gallstones, hard, pebble-like deposits that can be as small as a grain of sand or as large as a golf ball.